You can now catch ubiCabs in Manchester! ubiCabs is pleased as punch to announce that we’re now live in Manchester. Our shiny ubiCabs are ready and waiting to transport you around the city of Manchester! So whether you’re off to a business meeting in the Digital World Centre, Salford or heading out to Black Dog Ballroom ‘til the early hours, our iPhone and android apps and website will get you there hassle-free. And if you’re not a local then here’s three great reasons you should visit the city that split the atom, spawned Oasis and the Stone Roses and is home to the winners and runners-up of the 2012-13 Premier League. With fast trains from London Euston taking just over two hours and great rail, road and air links to the rest of the U.K., getting to Manchester has never been easier. From early July, Manchester will be hosting its International Festival. The festival was first held in summer 2007, when the showpiece production was Damon Albarn’s hugely successful Monkey: Journey to the West – a re-working of the Chinese legend Journey to the West as an opera. Every other year since then, the festival returns bigger and better with artists such as Bjӧrk, Victoria Wood, Snoop Dog and Marina Abramovic performing at the 2011 edition (though thankfully not all together). This year Kenneth Branagh returns to The Bard’s works for the first time in ten years with the title role in Macbeth, Willem Defoe stars with legendary dancer and actor Mikhail Baryshnikov in the The Old Woman, the new theatrical production from director Robert Wilson and there are more than 50 other events. The festival is taking place in venues across Manchester so make sure you know where you’re going and have checked for any tram or road disruptions first. To get a free quote or book a cab from your home, hotel or a station click here. The festival is a biennial affair and also prides itself on only showcasing new works, so book now to avoid disappointment as the next one isn’t until 2015 and they won’t be repeating this year’s performances! Visit the website for more info. If you prefer the silver screen to the stage, then look no further. You can catch not one but two films every Thursday night (weather permitting) from the 11th of July at Manchester’s open air cinema – Screenfields. What’s more it’s FREE! Well… tickets are free on Lawn 1, you and a partner can opt for a double deckchair on the ‘Lover’s Lawn’ for £6 or it’s £4 entry for a single deckchair on the somewhat less suggestively named Lawn 3, alternatively go for the at-one-with-nature option of entry and no deck chair on Lawn 4 for £2. It’s cash on the door only and it’s a good idea to check the website first in case of rain and to register your vote for Thursday’s films from 9am on Wednesday. Screenfields is located on The Lawns in Spinningfields (M3 3JE) to the west of the town centre and a cab from the station will take no more than ten minutes, although, if the weather is playing ball, the walk shouldn’t take more than 25. If watching a giant screen from a deckchair or on the grass still isn’t adventurous enough for you then why not head out to the Peak District and get your hike on! The TransPeak bus service runs from Manchester Bus Station (5 mins from Piccadilly Station) to Buxton, Belper and Matlock in the National Park. Trains also run from Manchester Piccadilly and Oxford Road Stations out to picturesque towns like Edale and Hope in the valleys of the same names. 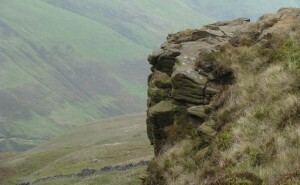 This blogger has especially fond memories of beef & ale pie and chips of gigantic proportions in the Old Nag’s Head in Edale after a day’s rambling up and around Mam Tor. Remember to take a jacket though, as even in the height of summer you can find yourself encountering a rogue rain cloud or gust of northerly wind. ubiCabs in Manchester are ready to get you started on your adventure. Manchester and its surrounding area have something for everyone. So whether you’re after the retro-chic of the Northern Quarter, the bars and clubs of Deansgate, the music and festivals across the city, or the nearby Peak District then why not take the train into Manchester Piccadilly Station or fly into Manchester Airport and book a cab to whisk you away to your next destination.